The company will also launch the Grahak Samvaad campaign starting from Oct 24 till Oct 31. 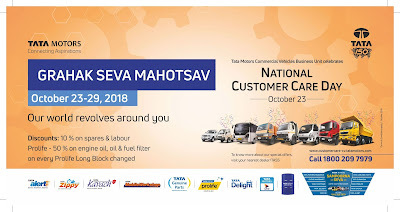 Through this campaign, Tata Motors customer care team will organize meetings with the commercial vehicle customers and fleet owners to educate them about the innovative offerings of the company. The team will also collect feedback to enhance customer experience. 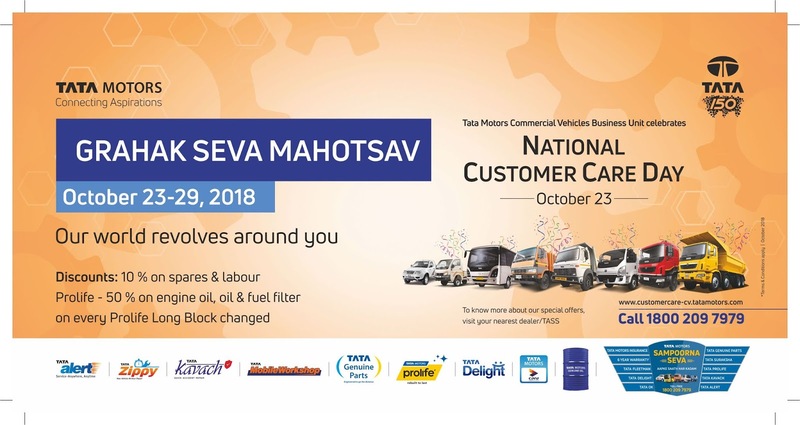 As a part of this campaign, Tata Motors will also bestow customers by awarding for Service Loyalty.